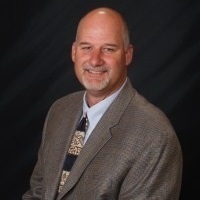 Jeff Atchison is an investment advisor, speaker, and educator in the Big Country area. He specializes in helping people who are retired or near retired with their retirement plans. Jeff strategizes to protect wealth and provide income streams for his clients. He also takes into account the “unexpected” events that happen in life. This includes issues like Long-Term Care, efficient wealth transfer plans, and other estate planning issues. His motto is “hope for the best, but plan for the worst”. This allows his clients to enjoy retirement no matter what happens. Jeff also helps his clients understand social security and how they can maximize this valuable asset. His holistic view of retirement planning allows his clients to fully enjoy their retirement years. Jeff received his business degree from Texas ATM in 1989. He lives with his wife, Kyra, of 26 years. They have two children.